Never one to shy away from a good challenge, I had to respond to my friend Michelle H. Barnes’ “Ditty of the Month Challenge’ for April…a reverso! What is a reverso, you ask? It’s a poem that is written in two sections, with each section comprised of the exact same lines but in the opposite order. In other words, the first line of the first section is the last line of the second section; conversely, the last line of the first section is the first line of the second section. Ideally, each section should say something different, rather than simply repeating the feelings or images of the other. In the case of my reverso, I wanted to show that the different feelings and memories of each speaker are actually quite similar – two heads of one coin, so to speak. I hope I accomplished that. You can read more about reversos and the amazing books that poet Marilyn Singer has created using them – like her newest, ECHO ECHO: Reverso Poems about Greek Myths (Dial Books, 2016) – by visiting Michelle’s interview with Singer. At the end of the interview, Singer challenges blog readers to come up with their own poems about echoes – and because I love going out of my way to make things harder on myself, I decided to write my poem as a reverso. I hope you’ll check out the poem and let me know what you think! You can find it posted HERE at Michelle’s blog, Today’s Little Ditty. Hope you like it! And for all of today’s Poetry Friday links and hi-jinks, Jama Rattigan’s Alphabet Soup is the place to be! 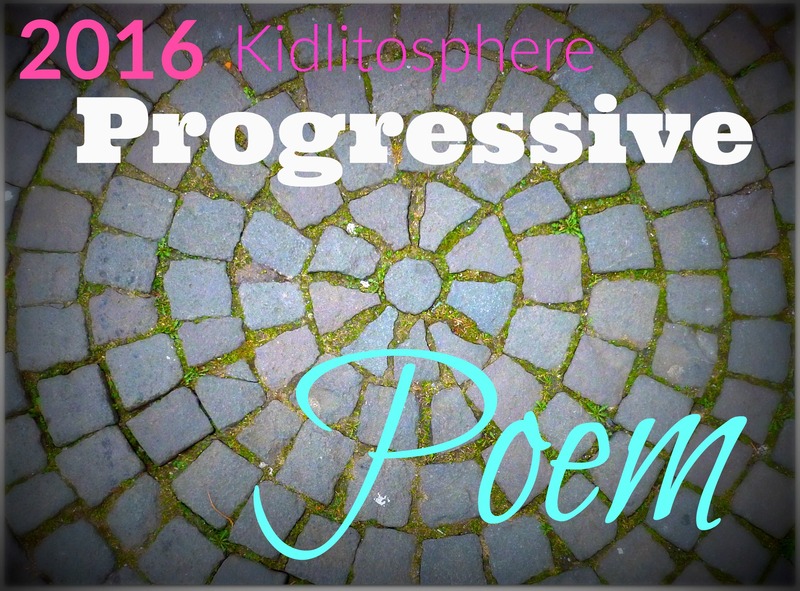 Irene Latham‘s annual progressive poem is progressing quite nicely! Each day of the month, a different writer has added a line to this poem, and it will conclude on April 30. To see where it stands presently, please visit Robyn Hood Black’s little corner o’ the web, Life on the Deckle Edge, today! Great job with the reverso, Matt. I especially like the lines “stinging like champagne vinegar from trembling lips.”Writing reversos is a brain-twisting exercise! I’ve been attempting some myself and it’s great fun but great effort as well! Thank you, Molly! You did a fine job, as well, with yours…and you’re right, they definitely exercise the ol’ brain! I can’t even imagine writing a reverso! You’ve done yourself well, Matt! I’m glad you liked it, Diane, thank you! Your reverso is a work of art, Matt! Wow, thank you so much, Jane…I really appreciate that! It really is a great reverso, Matt. I like the topic very much. Thank you, Linda. It was a fun challenge, but brain-wracking, too! Very well “put together” both in format and with word choices, Matt. Loved it. Great job with the reverso. Love the sustained intensity in both halves. Thank you, Jama. As I was writing it, I noticeed that one side could end up being stronger than the other, so I tried to pay attention to that. I have never written a Reverso–it just sounds so daunting; I really applaud your success at pulling it off! Thank you, Violet! Yes, it was daunting, but very satisfying to complete!